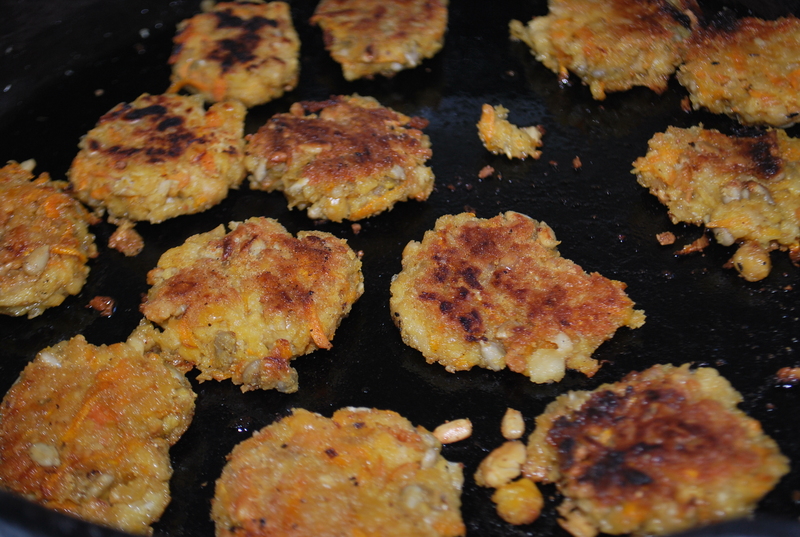 I’ve been seeking a simple chickpea patty recipe for a while now, often I’m left unsatisfied! This is a modification of a random recipe found online and it is simple and yummy. ❤ Enjoy! Mash chickpeas. Add 1 grated carrot, sunflower seeds, coriander, flour, generous helpings of salt and pepper and your chosen starch and then fry in hot oil until crispy.